I've add a new feature that will appear from time to time but in different formats. Candy and I are going to talk about different sports subjects and provide some in depths commentary. In this story we are going to talk about some key sports topics in Candy's home state of Wisconsin. 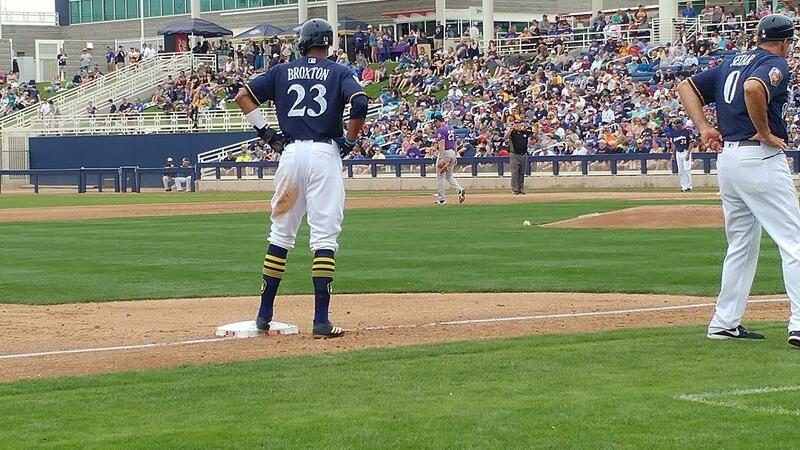 1) The Milwaukee Brewers early season success, is it a surprise? The Milwaukee Brewers are leading their division and it's not a surprise at this the 1/3 point of the season, at least to me it's not. The Milwaukee Brewers have been in a rebuilding phase for a couple of years now. Being a small market team, but a market that is loyal and strong, keeps them at a disadvantage. The Brewers have one of the best Bullpens to date, but lack real strong starting pitching and have been shut out 9 times already, when all of last year that number for the whole season was only 8. If the Brewers are going to keep on top, they need their starting pitching to take it to the next level, while the bullpen stays strong, as well as the bats continuing to hit and score runs. The hitters need a little more discipline as well as they lead in strikeouts and have the past two years. They need to play smart ball, no mental mistakes. But I could probably say this for every team out there. Craig Counsel needs to keep his team healthy and keep managing them smartly. Every team is different and needs to be managed a little differently. I like Craig as he seems to get his guys to perform, and if they don't he has no problem sitting them or sending them down to the minors. He had the guts and smarts to send Orlando Arcia down to the minors, even though he's been great defensively, his bat leaves something to be desired, at least right now. This is a wait and see kind of team that is still pretty young. Hopefully they can continue on their winning ways and stay on top. The Milwaukee Brewers record is currently 35-20 and they have reached this plateau the fastest in their franchise history. During spring training we saw 5 games and this was an exciting team to watch because of the close games and late run rallies to win ballgames. Much of that has carried over into the regular season as they've validated hall of fame Yogi Berra's famous line "It's not over till it's over". I've said all along that Counsel is one of the best young managers in baseball and figures to be for a long time. Let's not forget that he was a role player and a key contributor for the Arizona Diamondbacks and Florida Marlins, helping them both win World Series Championships. I really believe that he is an intelligent young skipper who will become more well known as the Brewers continue to be on National Television, especially if they make it to the playoffs. The Brewers were one game away from getting into the post season in 2017 and they took those experiences into this season and hopefully have learned as to what it takes to get them to the next level. I was impressed with the moves they made during the off-season to bolster their outfield and in landing Lorenzo Cain and Christian Yelich. Unfortunately for Keon Broxton he was the victim of a crowded outfield which found him a man out and down in the minors. In July, we will post a story written about him regarding an interview we had with him this spring, I wouldn't be surprised to see him playing for the Brewers at some point this season. I am definitely looking forward to the Detroit Tigers finishing the regular season playing against these Milwaukee Brewers at Miller Park. I hated when the Brewers switched leagues as I enjoyed watching this rivalry over the years. Hears hoping that both teams will be playing into the post season. 2) Should the Green Bay Packers go after Dez Bryant after letting Jordy Nelson go? The Green Bay Packers let a long time veteran and favorite target of Aaron Rodgers go this off season. They did this for a reason. They were trying to get younger and to give them more salary space as some off season mega contracts were given out to other quarterbacks around the league and they know they needed to REDO Rodgers contract. In my opinion, they should not go after Dez, that would be more of a slap to fan favorite Jordy. Dez is looking for more money than most young guys. If Aaron truly at 35 figures he will play into his 40s, there is no reason to believe that he wont have a lot of success with young players as long as they both are on the same page. The problem that they have had in past years is when the top couple of receivers go down, the reserve receivers aren't on the same page and take too much time learning the routes. I agree with Candy that Dez Bryant doesn't need to be wearing packer attire. I do believe that if he was a Packer, he would do well with Aaron Rodgers as his quarterback. Bryant needs to go to a team that has a star quaterback who has a strong personality that won't tolerate his outrageously strong personality if things don't go his way. During the past three years, Bryant's production declined due to injury and ineffective play. If Cowboys owner Jerry Jones thought he could be a good contributor, he wouldn't have cut him in the first place. Jones doesn't give up on good players that fast. He's a very loyal owner and will pay you if you're deserving. I like the moves the Packers made acquiring young wide receivers in the draft and I'll be curious how many more they will add before training camp. 3) Can Milwaukee Support a NHL franchise? No. The Milwaukee Admirals play in the American Hockey League and had a total attendance for 2017-18 of 241,073, an average of 6,027 fans per game, which was good for 8th place in attendance. Now I will admit that they moved this year to The UW-Milwaukee Panther's Arena which is smaller than the Bradley Center where they played. The Bradley Center is being torn down and a new home for the Milwaukee Bucks is almost done. But the Admirals were never invited to play at the new Bucks home, despite being built to host ice events. They are hoping to invite a frozen four and NHL exhibition game. The Admirals sign a 10 year lease and are committing $2 million to upgrade their new home. Being a small market and the price of NHL games, I believe the fans are just as happy cheering on the Admirals. I know the Milwaukee Market backs their teams but......at what cost. I don't think they would draw the crowds that they would need to sustain an NHL team. Yes. From what I've noticed about the Milwaukee Market like most Midwest cities, if you play hard and are competitive you will get good crowds. Despite the fact that they are a small market there would be 3 natural rivalries with Minnesota, Chicago, and St Louis. The NHL is a league which has grown immensely the past several years and has incredible star power. With the amount of stars that this league has I would see no reason to believe that the Milwaukee Market couldn't draw 17,000 - 18,000 fans on a regular basis. Furthermore, the Wisconsin Badgers hockey team has always been very elite. And as I've seen in Detroit, when you have excellent college programs like Michigan, Michigan State, and Michigan Tech and the Detroit Red Wings NHL team, that's a great recipe for hockey growth in the state. 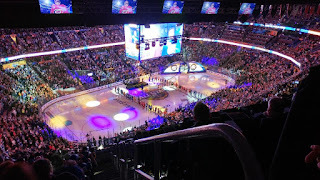 The Vegas Golden Knights are a small market team and if Milwaukee Expansion squad had committed ownership and a excellent front office there is no reason to think that a Milwaukee Expansion franchise couldn't be competitive from the outset. I also believe that the crowds would be large when you have the Original Six Teams in town such as the Detroit Red Wings, Chicago Blackhawks, Toronto Maple Leafs, Boston Bruins, New York Rangers, and the Montreal Canadiens.